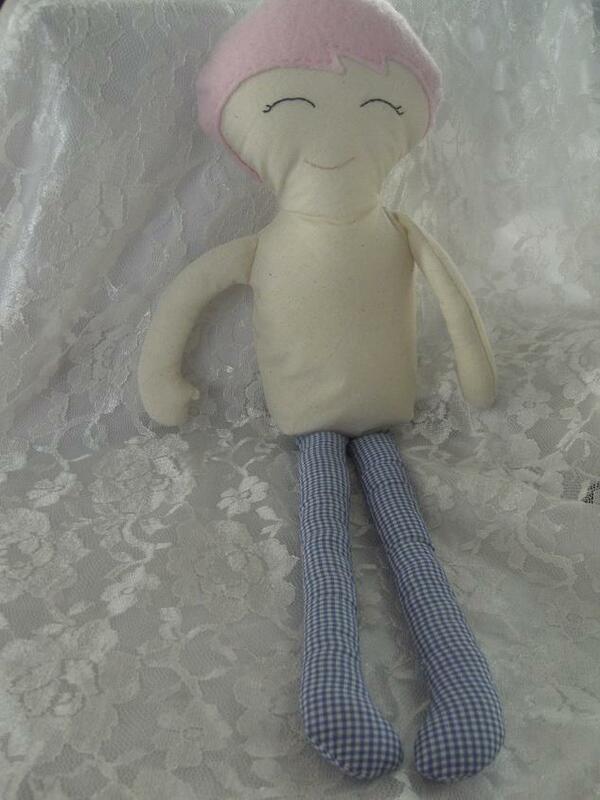 Craft fun making a fabric doll. It has been awhile since I have had time to do some crafting. So I decided to make a dolly. I made the patter for Miss dolly from scratch. First I drew a pattern for her body on a piece of paper. After rubbing out a few times I decided on her shape. Than came the legs and arms. Once I was happy with the drawings I cut them out and traced them to cardboard for my pattern. Placed the cardboard pattern on the fabric and traced around. Then cut out the fabric leaving a seam edge. I cut out a piece of felt for her hair and hand stitched the edge around her face. I also traced the eyes and mouth with a pencil before hand stitching them on. With right sided together I stitched around the edges leaving an opening and the ends of each arm and leg. The body I pined the arms with the arms in and seams out then stitched around starting at the base of the bottom right in about 1.5cm and ending on the bottom left in about 1.5cm leaving an opening at the base for her legs. I did a box seam so she has a flat base. I then slipped the seam end of her legs inside the doll and stitched them to one side only so I still had and opening to stuff. Once she was stuffed I hand stitched up the base. Now Miss Dolly needs some cloths. Next problem was deciding how I would make the cloths. I went for a simple pillow case style dress with a ruffled edge. I used a little skinny elastic for the neck. Been awhile since I used my machine for so I decided to try out some of the feet. I used my ruffle foot to gather the fabric and the overlock foot to overlock the edge. I found the overlock stitch was not as good as the overlocker. 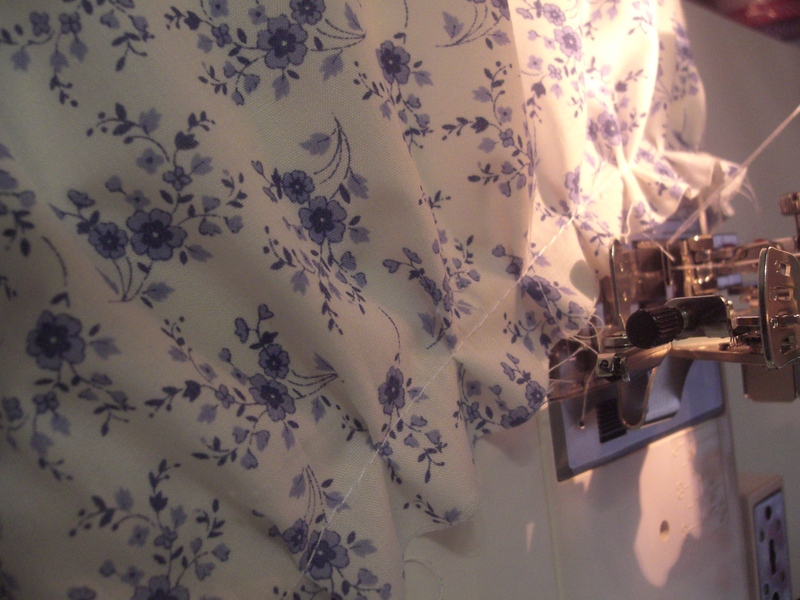 The overlocker gives a much neater finish. Of cause she would not be finished without some hair accessories. So I made her a headband with white velvet ruffle elastic and attached a chiffon ballerina with rhinestone embellishment. 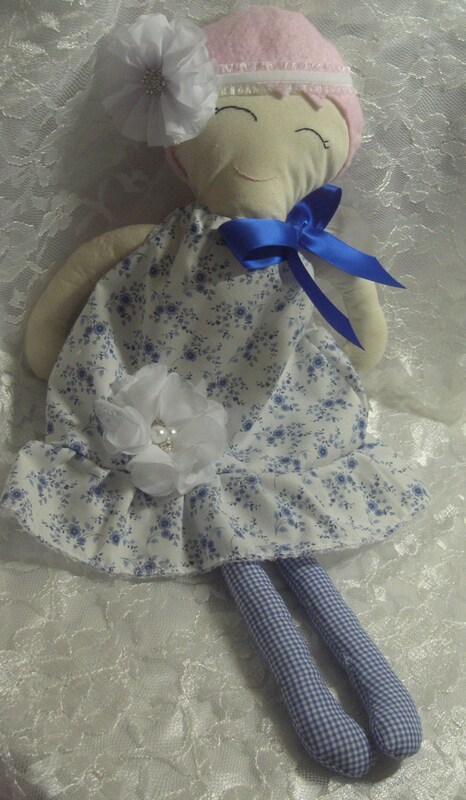 A nice royal blue satin ribbon bow on her dress along with a White Tiffany rhinestone and pearl flower on her dress. ← How to make barefoot sandals for babies.